(Reuters) – Burundian President Pierre Nkurunziza appealed for ethnic harmony on Wednesday, addressing fears that weeks of political unrest could trigger another bout of bloodletting between Hutus and Tutsis in the heart of Africa’s Great Lakes. In an address on national television, Nkurunziza, who is under pressure from street protesters to end his bid for a third term, said the risk of the former Belgian colony descending once again into genocide or civil war was too great. 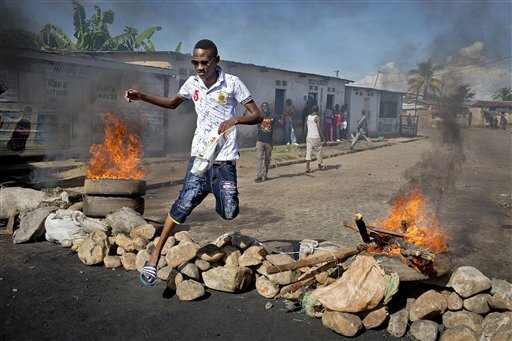 More than 20 people have been killed in the unrest, which includes a failed military coup a week ago, and there are fears of more bloodshed as determined anti-Nkurunziza demonstrators confront an intensifying crackdown by security forces.